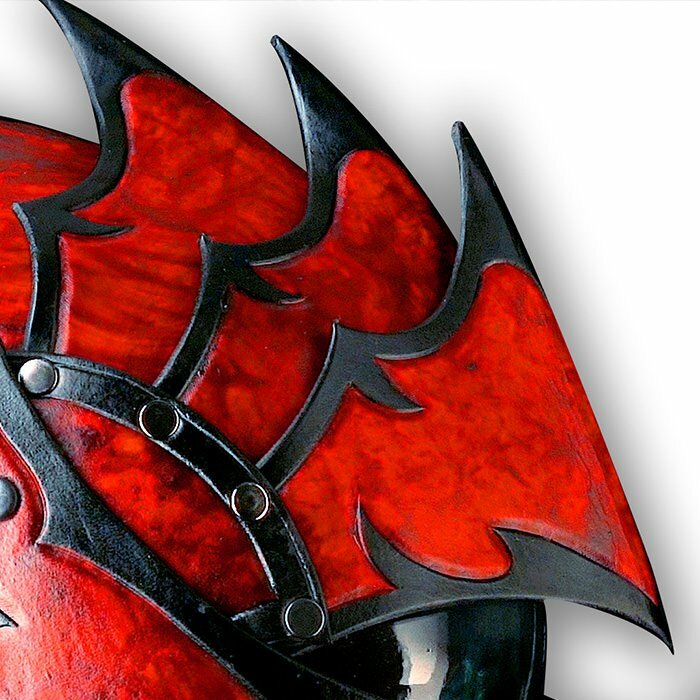 Use this utility to estimate the cost of custom leather armor projects. If you desire a different configuration, choose the nearest option and let us know when you send your inquiry. 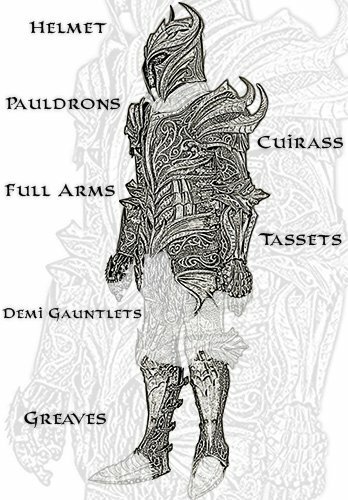 For projects other than armor, please contact us to discuss options. Select an item to continue. How elaborate do you want to go? A new design is created for each client. Every suit is tailor made and hand crafted one at a time to each client's specifications and measurements to guarantee comfort, fit, and mobility. We use premium materials and invest our years of experience into even our base projects to ensure every project will last a lifetime. Our base detail options start with a visually striking design scheme with interesting lines and geometry. 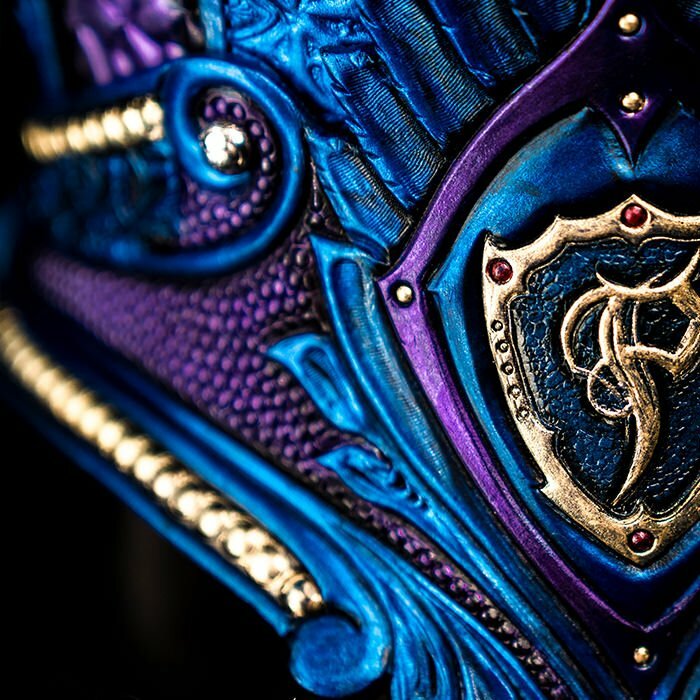 Prince Armory has established a reputation for wild and intricate designs with complex layers and numerous tooling designs and other artistry. 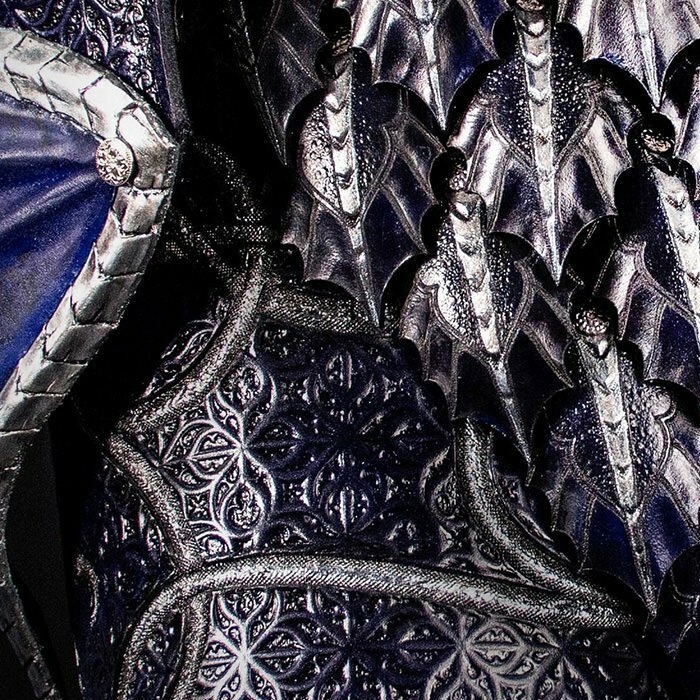 Budgeting for the signature line allows us the time to adequately design and craft something truly special and begin to cover the extremely large canvas that is a suit of armor with more elegant details throughout the whole set. Be ready to draw crowds and turn every head at any event you attend. 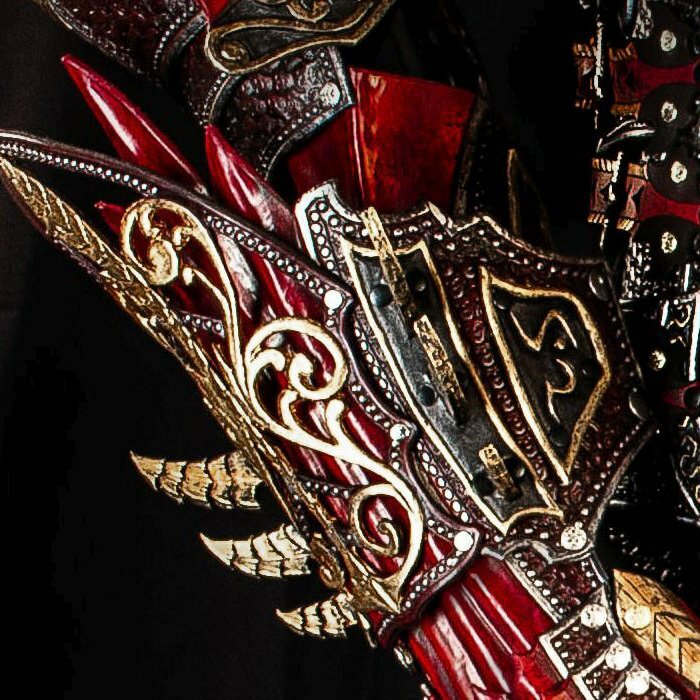 This is level of detail is where our signature creations really come into their stride and is among our most popular. 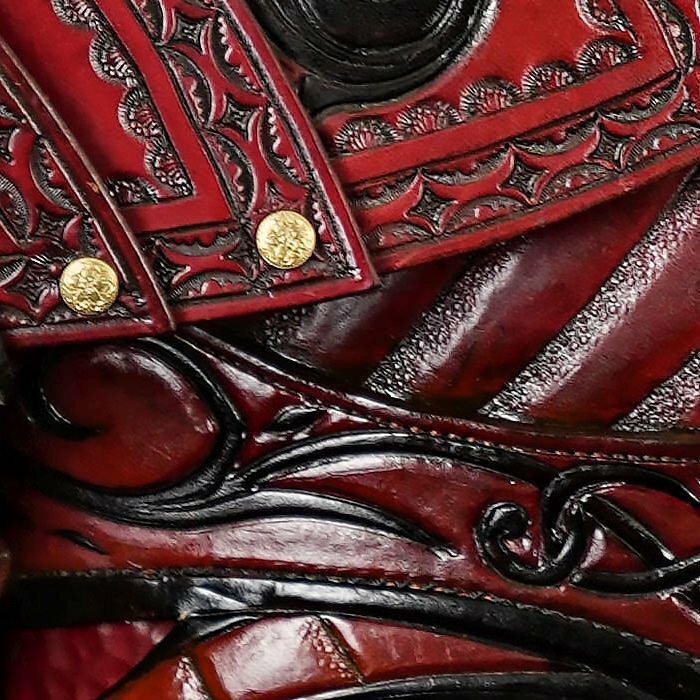 It is a sweet spot on our detail level lineup allowing for a very impressive combination of artistry, design, and other detail complexity that is rarely seen in the world. 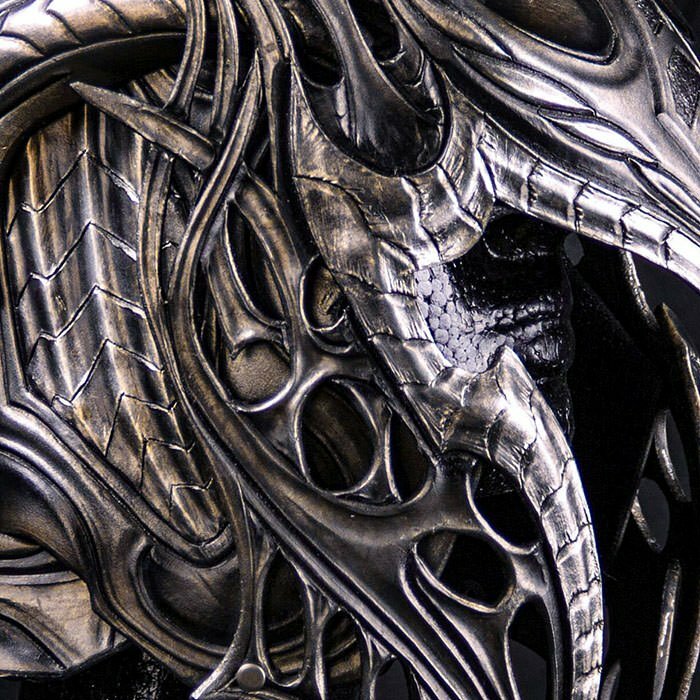 This stage is the minimum recommended level for the advanced concepts like medieval or sci-fi mashup/spin-offs or other hybrid designs with dragons and other creatures. If turning heads isn’t enough and you want to drop every jaw then this might be for you. 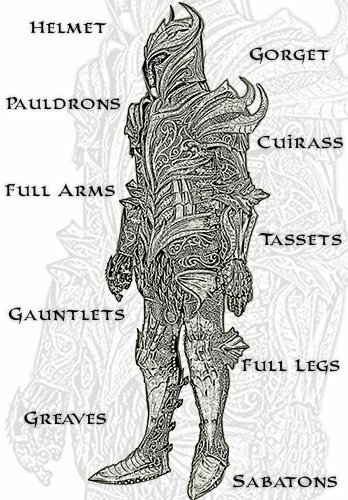 Every higher tier of detail builds upon the last adding more layers, more designs, more advanced crafting techniques, and more coverage and at this stage you can have virtually every square inch of the armor covered in tooling or other detail and that’s just for starters. This level of craftsmanship is well into the “Rock-star Experience” where you’ll don the aura of fame as you step into the crowds of captive onlookers. This tier and beyond is wearable fine art. When you're looking for the pinnacle of our artistry, to have the absolute best of the best when no less will do, consider this tier of detail to improve even further upon previous detail levels. 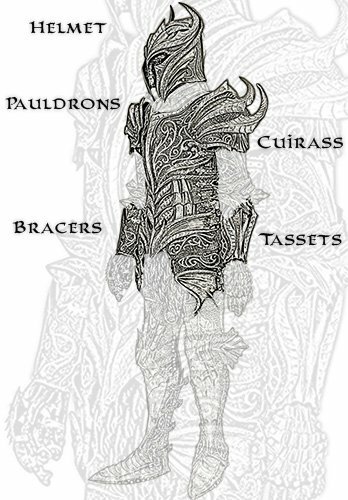 The next step up from the masterpiece tier is to expand on layers, intricacy, complexity, and more advanced and unique design techniques. For those looking to push us to break new grounds with our craft. We welcome you to explore the peaks of our capabilities, challenging us to raise the bar again to create something other-worldly. Something that has never existed before, and will never exist again, and at the absolute apex of artistry, design, and craftsmanship. Select an item to see more options. This is great for payment plans and anyone not in a hurry. It doesn't come with a guaranteed delivery date, but rather an estimate, which at the time of this writing is around 1-2 years. Clients needing an faster delivery date within of less than a year should select this option. Get in touch to confirm our availability. We allocate some time each year where we can offer an expedited timetable. Check with us for availability to ensure we can guarantee your deadline. This option is also available for masterpiece and higher projects. Terms: 1/4 down, 1/4 at construction start 1/2 at completion. Terms: 1/3rd down, 1/3rd at construction start, and 1/3 at completion. Terms: 1/2 down and 1/2 at completion. Tell us a little bit more about your project and we will follow up with you shortly. Send InquiryReturn to previous step.